Check back for updates and new additions as the event gets closer! The Pickled Fish will have specials featuring wild mushrooms throughout the celebration! 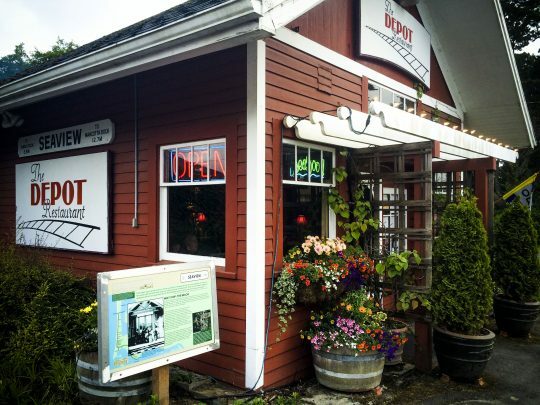 The Depot’s 15th annual Wild Mushroom & Wine Dinner is Friday, Oct. 5 at 7:30 p.m. 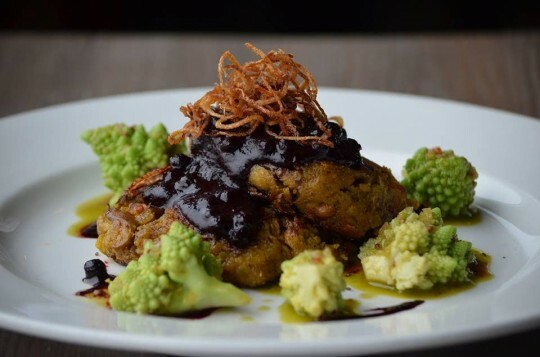 This five-course menu will be paired with wines from Elsom Cellars of Seattle. 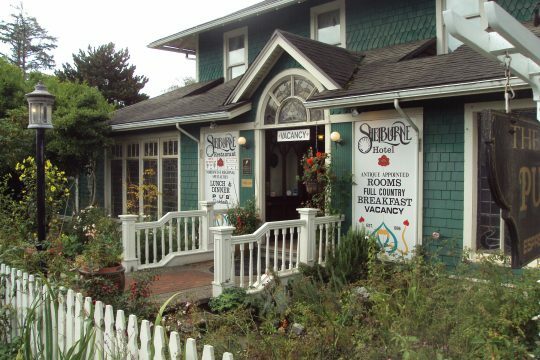 The Shelburne Pub will feature wild mushrooms in their Friday and Saturday tasting menus. 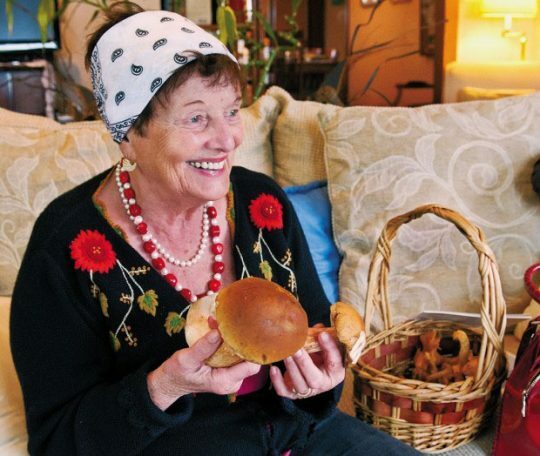 Enjoy a Wild Mushroom Celebration Weekend at Boreas Inn Bed & Breakfast on Oct. 19-21. The inn is offering an all-inclusive room-and-dining package deal. 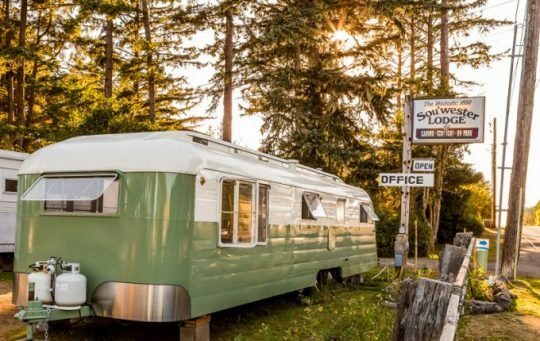 The package includes a two-night stay, a wild mushroom and wine dinner, and two legendary breakfasts, including a six-course breakfast with local mushroom expert Veronica Williams. Join the wait list or check availability. Susie and Bill cook with wild mushrooms year round! Individual mushroom spores are tiny and cannot be seen with the naked eye. Spores can become visible on mature mushrooms by the process of spore printing. In this hands-on workshop explore methods of Spore Printing with locally foraged fungus. Get all the details and RSVP here. Learn how to use local wild mushrooms and lichens for dye! In this workshop, you will design 3 silk scarves using resist techniques for simple, yet elegant patterns under the instruction of amateur mycologist Alissa Allen, the founder of Mycopigments. 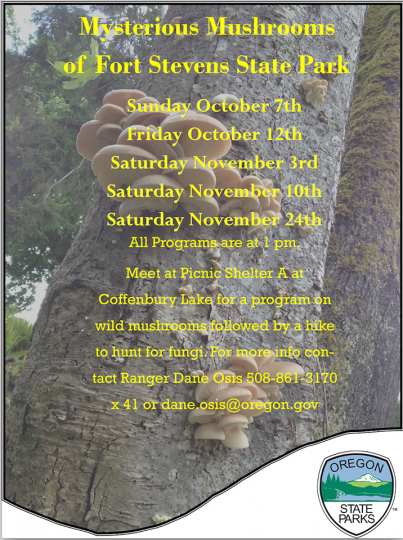 Join an Oregon State Park Ranger for a guided hike for wild mushrooms at Fort Stevens State Park. The hike will focus on the varieties of wild mushroom that grow in the area. Participants should plan on wearing weather appropriate clothing, and should bring a basket, pocket knife, and mushroom identification book if they have them. Also, participants are encouraged to bring in mushrooms for identification. The hikes will begin at Battery Russell and will be around 1 mile round trip. There is no registration or fee required for the hikes. There is an amazing variety of fungi that thrive in Oregon. 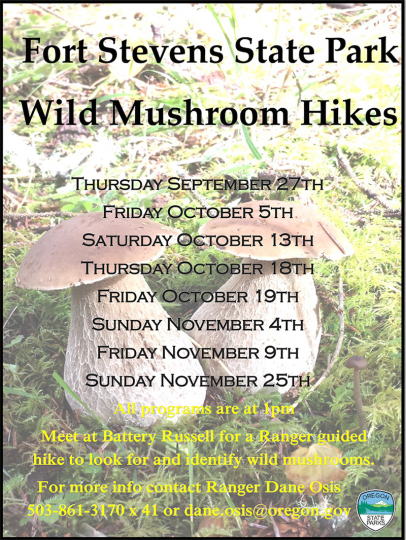 Join an Oregon State Park Ranger for a program on these wild mushrooms. The program will cover the regulations, uses, and identification of wild mushrooms in Oregon as well as the role they play in the health of the forest. Following the program there will be a short hike around the park to look for and identify mushrooms. The programs at Fort Stevens will be held at the picnic shelter at Coffenbury Lake. There is no registration or fee for the programs, but there is a $5.00 parking fee at the lake.